Den 2 spent the day going over the Opening Flag Ceremony and learning some cool things about the US Flag...Here are some things they learned. 1) Name the only place where the US flag is NEVER lowered. 2) Why is the US Flag "backwards" on some military uniforms? 3) Why is the top blue corner of the US flag called "the union"? 3) Is it alright for the flag to be carried flat during football/baseball games (i.e. the huge flag that the stadium sometimes carries in and then shakes to make it look like it's blowing in the wind). Care to learn any of these answers? Track down a Tiger and ask him! During the meeting, the den leader dug out some of his old army gear and the cubbies got to wear different pieces of the field gear during the ceremony...they did awesome! A great picture of one of our Tigers in front of the Alamo. As part of earning their Tiger badge, each cubbie is required to visit a historical marker/place and the Alamo definitely qualifies as historical! Den 2 is earning awards!!! Den 2, while still has't officially been formed, is staying busy! We just earned our Outdoor activities award, bb gun, archery, astronomy, and photography beltloops. 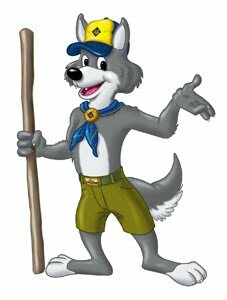 We just returned from Bear Creek Camp and had an AWESOME time! The Pre-Tiger Den is forming! While Den 2 is an "unofficial tag-along" den that participates with older dens, we have been busy! 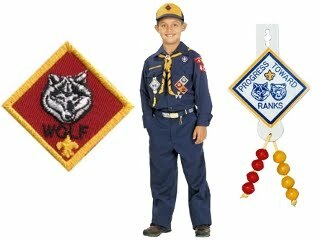 We're learning the requirements for the Bobcat rank and have already earned the soccer belt loop, soccer pin, basketball belt loop, and basketball pin. MORE TO COME! 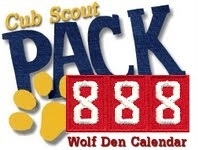 If interested, please give the Den leader or Cubmaster a call (or use our "Thinking About Scouts" link)!